The Centre of Human Rights for Autonomous Citizens (El Centro de Derechos Humanos, Ciudadanos y Autonomicos - CEDEHCA) was established in 1994 with the objective of contributing towards building a culture of autonomy and peace through the promotion and defence of the rights of Nicaraguans of African, Indigenous and dual heritage living on the Caribbean coast. • We firmly and categorically denounce the racist attitudes and comments directed against children of indigenous and African heritage which have proliferated in recent months on the social media networks of people and organisations who oppose the government. CEDEHCA reiterates that Human Rights are universal, inalienable and indivisible, and that the Political Constitution and Laws in Nicaragua prohibit racial discrimination in all its expressions and forms. 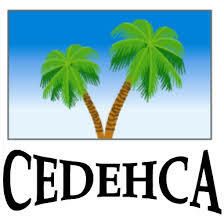 • CEDEHCA urges the Government of the Netherlands to reconsider its decision of suspending financial support for the Project Construction and Equipping the Regional Hospital of Bilwi in the Autonomous Region of the North Caribbean Coast. • CEDEHCA commits to collecting signatures of support for this important project, which will be submitted to the Nicaraguan Government to request the procurement of funding for the Bilwi Hospital. The hospital is of vital importance to guarantee to Caribbean Nicaraguans of indigenous, African and dual heritage their right to health. • We emphasise that the peoples of the Autonomous Regions of the North and South Caribbean Coast have expressed from the beginning their opposition to all attempts to break constitutional order and have denounced the criminal violence and flagrant violations of the rights to life, health, food and free movement of all Nicaraguans. • The inter-cultural and community universities of the Nicaraguan Caribbean, the Bluefields Indian and Caribbean University (BICU) and the University of the Autonomous Regions of the Caribbean Coast of Nicaragua (URACCAN), have also rejected the violence and destruction and have expressed their support for the National Dialogue as the only way forward in bringing peace and security to Nicaragua. • We recognise the challenges related to the National Dialogue and reiterate that they should be carried out in good faith, on the understanding that the main objective must be the creation of the conditions for peace and harmonious co-existence. This implies the need to move away from individual positions and to focus on a national agenda that can be accepted, understood and shared by all. Statement made in the city of Bilwi, Autonomous Region of the North Caribbean Coast, on 24 July 2018.